This film potraits a tale of loyalty, sacrifice and vendetta. 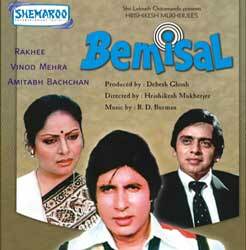 Its a story of a guy Sudhir (Amitabh) who plays an extraordinary role of a boy. As a kid gets lost in his debts, goes into a trauma of bad hands but is saved by Judge (Mr. Chaturvedi) who takes care for raising him along with his son Prashant. Both live as Ram & Lakshman in the same house. They find Kavita (Rakhee Gulzar) and both fall in love with her. From here sacrifice and shades of loyalty towards repayment of good deeds by Mr. Chaturvedi to him comes into play. A story of his brother Adhir how he becomes mad due to Miss Roma. An extra ordinary repayment of deeds done by Sudhir to Prashant by saving him from the illegal deeds done by him in hospital. This gives a strong statement to everyone to take their profession as an service to humanity.